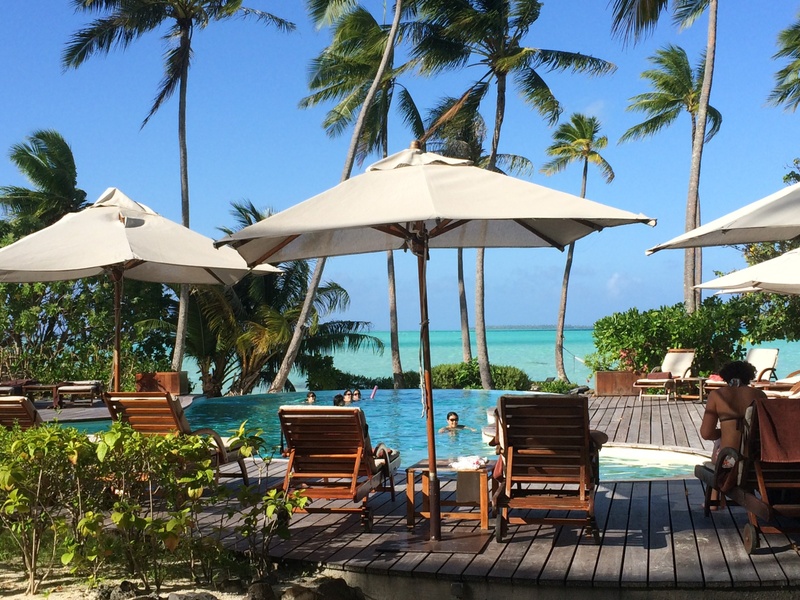 We know it sounds ridiculous, but at Le Taha’a ISland Resort & Spa in French Polynesia, we swear when you are poolside, you can smell the vanilla from the nearby plantations, dancing in the breeze. The pool is small, and for good reason! When you can climb down a ladder and into a crystal clear lagoon and swim and snorkle until your heart’s content, you don’t really need a pool. But it is paradise afterall, so if you should find yourself wanting to sip an umbrella-ladden drink from a coconut, while watching the sunset from a lounge chair, or even an in-pool barstool, you shall be obliged—and rewarded appropriately with a spectacularly relaxing view. And if you for some reason (such as you are completely insane) decide not to book an over-water bungalow and opt instead for a private beachside suite. 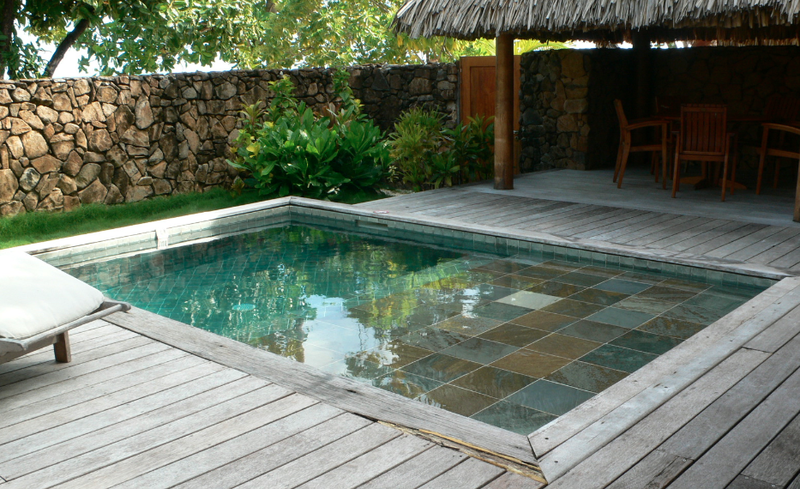 A private plunge pool awaits. Although, one clever Instagram follower did point out that splinters look like a potential issue here. 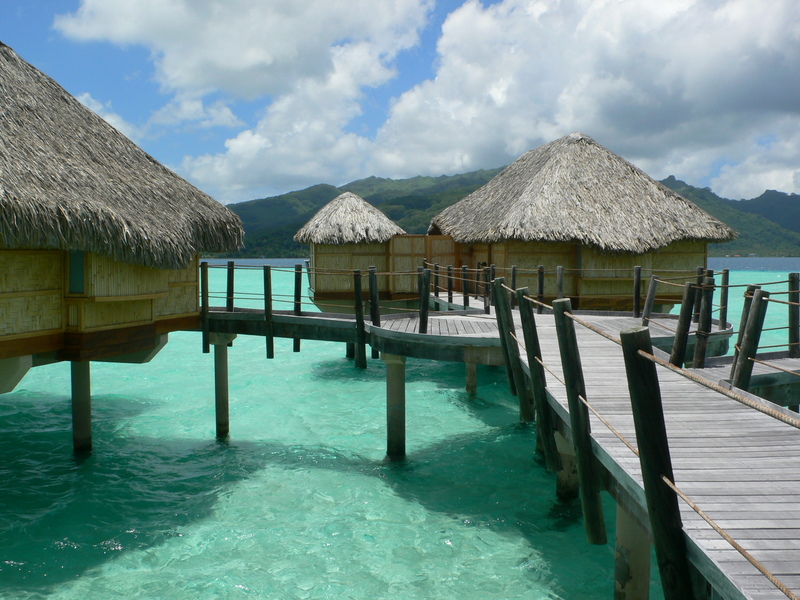 Which is all the more reason to go for the overwater bungalow. Paradise should not be spoiled by teeny tiny wood spikes to the backside. That what we always say, anyway. 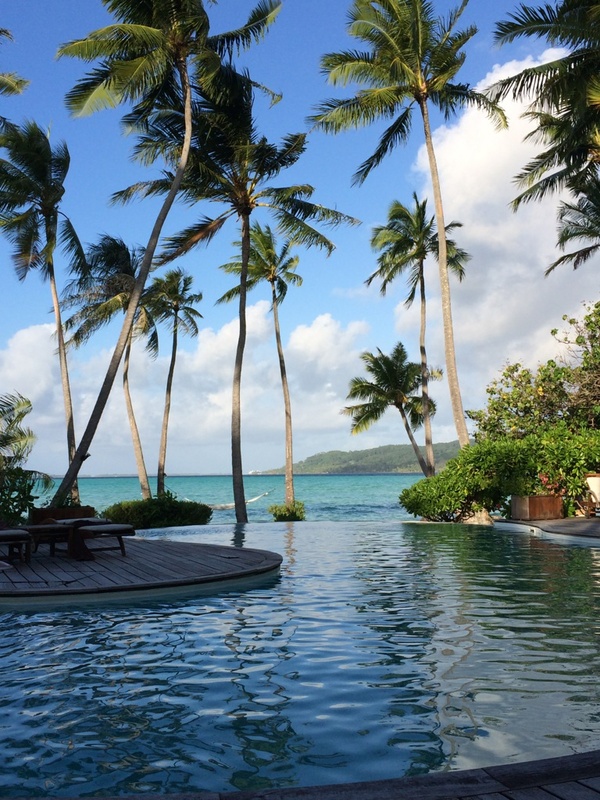 Click for more pools in Hawaii and French Polynesia.